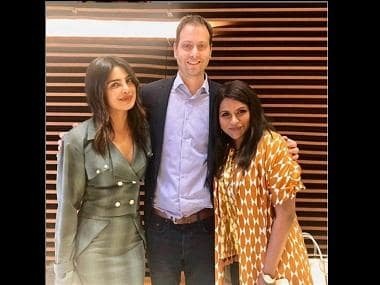 In a previous report, Firstpost had said that Priyanka Chopra will be seen in Silas Howard's upcoming movie A Kid Like Jake which stars Jim Parsons (The Big Bang Theory), Claire Danes (Homeland) and Octavia Spencer (Hidden Figures). According to a report by Mumbai Mirror, the Quantico actress has kicked off shooting for the film. Chopra was on a holiday in Prague some time back and is now back in New York. She took to her Instagram handle and shared pictures of her enjoying the time among beautiful landscapes of the city. The Mumbai Mirror report also says that she will be shooting for the next forty days. For the sake of convenience, she has apparently shifted from her Upper East Side apartment to a new place which is closer to the set and faces the Brooklyn lake and camping grounds. Her pet pooch Diana Chopra is also accompanying her. 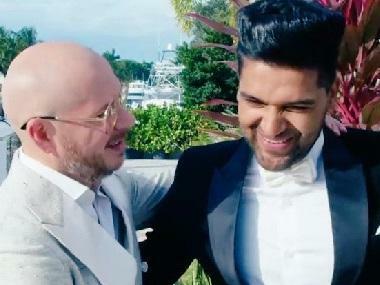 The film, A Kid Like Jake, is going to be based on Lincoln Center's celebrated play of the same name which is a story of Greg and Alex, a couple who want the best for their four-year-old, Jake. As they try to get him into private schools in New York, they discover they cannot afford the fees of these institutions. A part of what makes Jake special is that he prefers Cinderella to GI Joe is a 'gender-variant', a fact which the couple uses to try and apply for school scholarships. Jim Parsons will play Greg and Claire Danes will play Alex. Chopra will portray Amal, their friend and a newly single mom who is also trying to navigate the school system along with her love life. Chopra is also scheduled to begin shooting for the third installment of her hit TV show Quantico soon. No official dates have been announced so far, but it is speculated that she will commence her Quantico shooting schedule from either July or August this month, as per a report by Filmfare.